Come to the beautiful island of Orkney to study renewables at Heriot-Watt University’s Orkney Campus, and surf. 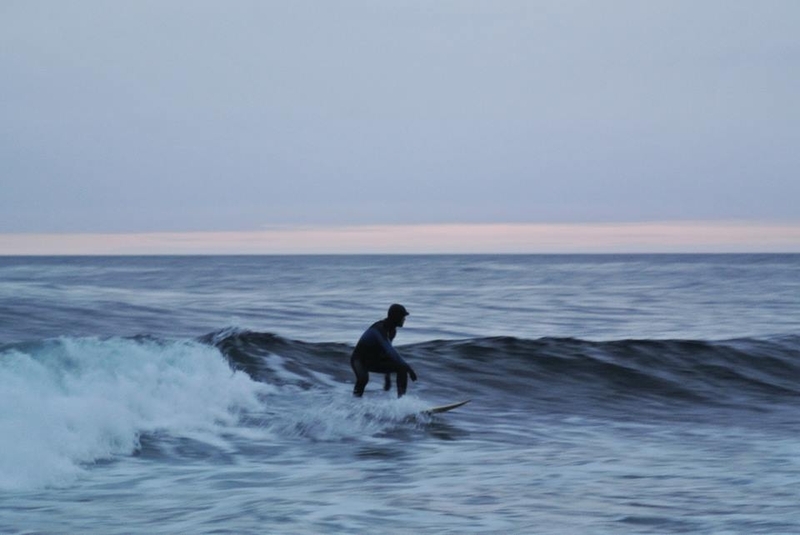 You could be enjoying empty waves in the far north whilst studying for a career in the burgeoning renewables field. Come here as a student and you'll become part of a close knit, safe community with many many festivals and clubs – St Magnus Festival and Orkney Folk Festival, to name but a few. Whilst you are here you can regularly: surf, kayak, whale watch, or camp at the remote and stunning Rackwick Bay on Hoy. Look out for the Northern Lights! The International Centre for Island Technology (ICIT), is the home of Heriot-Watt University’s Orkney Campus, and is recognised as a world leader in research, training and consultancy, with particular expertise in renewable energy, marine science and environmental resources. 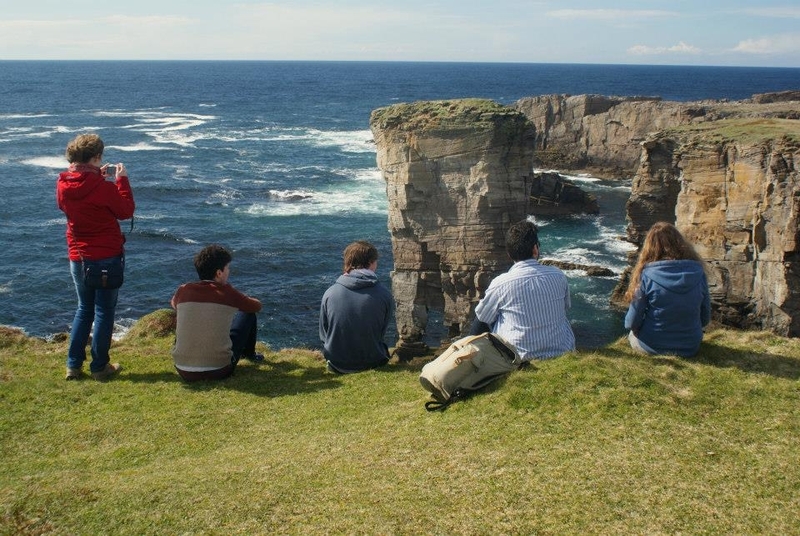 Students from all over the world have chosen to come and study in Orkney, ranging from Thailand, Kazakhstan, Hawaii, Mexico, Hungary, France, Italy, Spain and Ireland. Director Dr Sandy Kerr explained that it was encouraging to see so many students from a range of backgrounds join the campus each year and that the international mix of students was something ICIT wishes to encourage. Field trips are a great way for students to meet with industry and collaborate on dissertation projects, which assists students with employment prospects on graduation. The Orkney Campus boasts a 90% success rate in students finding work following graduation. Dr Jo Porter organised a recent field trip where Edinburgh based students came to join forces with the Orkney group. The week involved a range of boat and shore based survey activities in Scapa Flow together with talks from industry (EMEC and Orbital Marine Power). Prospective students are encouraged to find out more by emailing PJ Dewar on ICIT@hw.ac.uk or calling 01856 852252. PJ would encourage those interested in applying for on campus study to get in touch. “Often prospective students are a little wary of coming to study on a small island off the north of Scotland. When they do take the leap to come here, they quickly realise what a fantastic student experience we offer here, coupled with excellent collaboration with industry. "Many of our students from across the world have stayed on after completing their course, and have gained employment in the renewables industry. Orkney is the place to be in terms of renewable and marine energy. The key players are here on our doorstep”. As well as on campus learning, ICIT offers the option of study through Distance Learning (RED and MRE); we offer flexible learning solutions for people who wish to study while in employment, or who are not in a position to relocate to Orkney. Through online learning, students from a wide variety of backgrounds can take MSc courses which provide the skills and knowledge needed to work in the dynamic renewable sector. Over the past 25 years ICIT has significantly shaped and developed the thriving marine renewables industry. By studying with us you have the opportunity to learn from people directly involved in research and projects supporting the development of the renewables and marine energy sector.